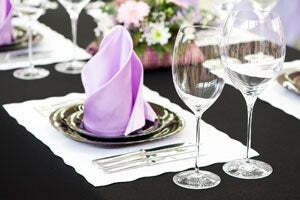 Premium quality 20 X 20 inch polyester napkins at best wholesale prices. Made of 180GSM polyester.Can be used for weddings, business conferences and other official events. For General Wedding Linen, Sizing Questions, Please read FAQs at the bottom of the page. Bulk and retail customers are capable to buy from us at affordable pricing without least necessities!